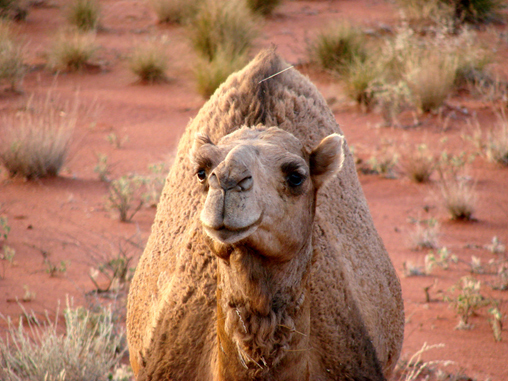 Camels were introduced to Australia in 1840. They can now be found over 40% of the Australian mainland being confined mainly to the drier parts of Western Australia, South Australia and the Northern Territory. Feral camels severely defoliate and supress the recruitment of some shrub and tree species. They have a noticeable impact on fragile salt lake ecosystems and foul waterholes as well as causing erosion and damage to stock fences (often over hundreds of meters). Camels also cause damage to indigenous artefact sites by inhabiting sheltered sites e.g. caves, rocky areas.